Manufacturer of a wide range of products which include wastewater treatment equipment, bubble diffuser, compact sewage treatment plant, effluent treatment system, anerobic treatment plant and biological treatment plant. 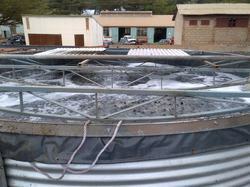 We are engaged in offering Wastewater Treatment Equipment to the clients. We as one of the leaders and most renowned company in water purification and are engrossed in Compact Sewage Treatment Plant. To meet the variegated requirements of our clients, we are offering an excellent quality range of Effluent Treatment System. The effluent will be pumped to Anaerobic Digester. 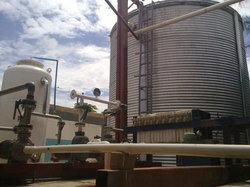 The up flow anaerobic digester degrades the organic matter in effluent by the anaerobic principle. In UASBR, biologically formed granules works as packing material. When uniformly distributed effluent will fed from the bottom of the tank using sparges, effluent passes through sludge blanket, react with anaerobic bacteria and convert organic matter to methane and carbon di-oxide. 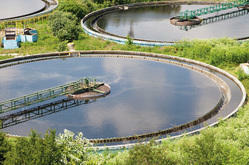 Biological treatment of water using a wide variety of microorganisms, primarily bacteria. These microorganisms convert biodegradable organic matter contained in wastewater into simple substances and additional biomass. 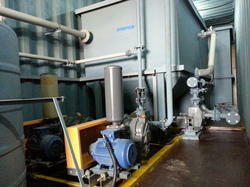 Aguapuro offers all series of biological treatment plant inclusive of Aerobic as well as Anaerobic . Aerobic treatments include MBBR,MBR,FAB,SAFF etc. 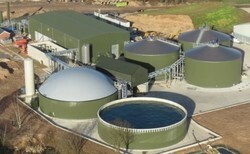 & Anaerobic treatment includes anaerobic digester , UASBR etc. Aguapuro offers all types of Aerobic treatment plant with different technologis like MBBR,SAFF , FAB ,SBR etc. Aerobic treatment is a biological process that uses oxygen to break down organic matter and remove other pollutants like nitrogen and phosphorus. It converts the organic matter into carbon dioxide and new biomass. During aerobic treatment, oxygen is continuously required so forced air from an air blower or compressor is mixed with the wastewater. The aerobic bacteria feeds on the waste in this water and aerobic treatment takes place Aerobic treatment is used to achieve maximum degradation while meeting the strict regulations set by environmental agencies regarding what is released into the air, ground, or water.